Marvel's Spider-Man [lower-alpha 1] is a 2018 action-adventure game developed by Insomniac Games and published by Sony Interactive Entertainment. Based on the Marvel Comics superhero Spider-Man, it is inspired by the long-running comic book mythology and adaptations in other media. In the game's main storyline, the super-human crime lord Mr. Negative orchestrates a plot to seize control of New York City's criminal underworld. When Mr. Negative threatens to release a deadly virus, Spider-Man must confront him and protect the city while dealing with the personal problems of his civilian persona, Peter Parker. Sunset Overdrive is an action-adventure shooter video game developed by Insomniac Games and published by Microsoft Studios. It was announced at Electronic Entertainment Expo 2013, and released worldwide for Xbox One in October 2014 and for Microsoft Windows in November 2018. The game is set in 2027, in a fictional metropolis called Sunset City. The player controls an employee of FizzCo, who has to fight off the OD, short for Overcharge Drinkers: humans who have turned into mutants after drinking FizzCo's energy drink beverage. In the dystopian Sunset City the player character can wall-run, use zip-lines, and grind rails to swiftly navigate through it, with a large arsenal of weapons to use. The game also has a cooperative multiplayer mode called Chaos Squad, which tasks players to complete a series of missions with seven players. As the game puts emphasis on momentum, the game does not feature any cover system. Marvel's Spider-Man was released worldwide for the PlayStation 4 video game console on September 7, 2018. The game received praise for its narrative, characterization, combat, and web-swinging traversal mechanics, although some criticized its open-world design for lacking innovation. A number of reviewers called it one of the best superhero games ever made, some comparing it favorably with the Batman: Arkham series. Following its release, Marvel's Spider-Man became one of the fastest-selling games of the year, one of the best-selling PlayStation 4 games of all time, and the fastest-selling superhero game in the United States. Spider-Man was followed by a story-based, three-part downloadable content called Spider-Man: The City that Never Sleeps , which was released monthly from October that year, that takes place after the main game. Spider-Man's mission to protect the city brings him into conflict with several supervillains, beginning with his longtime foe and Kingpin of crime in New York Wilson Fisk (Travis Willingham),   and a supernaturally powered gang called the Demons who begin dividing the city for Mr. Negative, who can corrupt people through his touch. Spider-Man must also confront Electro (Josh Keaton), Rhino (Fred Tatasciore), Scorpion (Jason Spisak),  Vulture (Dwight Schultz),  Shocker (Dave B. Mitchell), Taskmaster (Brian Bloom), Screwball (Stephanie Lemelin), and Tombstone (Corey Jones). 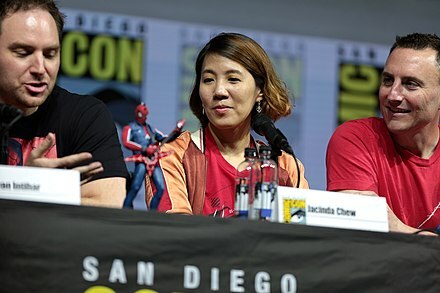 The project marked a change in Marvel's video games strategy; Jay Ong, head of games, said Marvel had previously released games based on or tied to the release of films based on their properties, but this meant game developers did not have time to create impressive games. Publisher Activision had been responsible for Spider-Man games since 2000; Ong said this would no longer be the case and future Spider-Man games were in the hands of Sony and Insomniac. 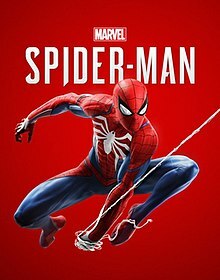 Marvel did not want the game to be based on an existing movie or comic book story, and allowed Insomniac to choose a character for which to an original story; the team chose Spider-Man, saying they related to the dynamic between the heroic Spider-Man and his everyman alter-ego Peter Parker. Doctor Octopus is a fictional character appearing in American comic books published by Marvel Comics. A highly intelligent mad scientist, Doctor Octopus is typically portrayed as a stocky, myopic man who utilizes four powerful, mechanical appendages, and is a prominent enemy of the superhero Spider-Man. Marvel Games is the publishing brand for video games based on Marvel properties, and is the video games division of Marvel Entertainment. Before the incorporation of Marvel Games, video games based on Marvel released from 1982 to 1985 were handled by Marvel Comics Group, and Marvel video games from 1986 to 1998 were handled by Marvel Entertainment Group, whilst video games based on Marvel released from 1999 to 2008 were handled directly by Marvel Enterprises. Spider-Man is a 2002 action-adventure video game based upon the Marvel Comics character Spider-Man, and is also loosely based on the film Spider-Man. The game was developed by Treyarch and published by Activision, and released in 2002 for Game Boy Advance, GameCube, Microsoft Windows, PlayStation 2, and Xbox. The game has many scenes and villains that did not appear in the film. It was followed by Spider-Man 2 two years later to promote the release of the second film. In 2007, to promote the release of the third film, Spider-Man 3 was released. Tobey Maguire and Willem Dafoe were the only actors who reprised their roles from the film. 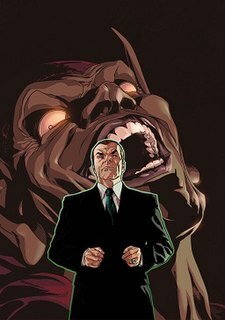 Norman Osborn is a fictional supervillain appearing in American comic books published by Marvel Comics. 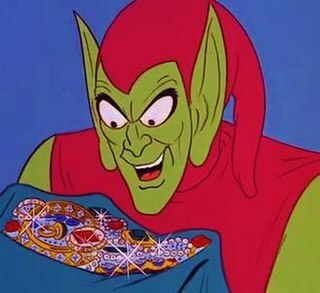 The character was created by writer-editor Stan Lee and writer-artist Steve Ditko, and first appeared in The Amazing Spider-Man #14 as the original and best-known incarnation of the Green Goblin. Spider-Man Noir is a fictional character, a superhero appearing in American comic books published by Marvel Comics. Spider-Man: Edge of Time is a 2011 video game developed by Beenox, based on the superhero Spider-Man. The game was directed by Gerard Lehiany. The story, written by Peter David, Ramiro Belanger and Gérard Lehiany, involves both Peter Parker, the original Spider-Man, and Miguel O'Hara, Spider-Man 2099. The game is considered the sequel to 2010's Spider-Man: Shattered Dimensions, although Spider-Man Noir and Ultimate Spider-Man are not featured, yet they are mentioned. Gameplay contains a "cause-and-effect" system in which one Spider-Man's actions will affect the other and vice versa. It was released on October 4, 2011 in North America and on October 14, 2011 in Europe. Edge of Time is the second Spider-Man title to be developed by Beenox, following Spider-Man: Shattered Dimensions of 2010, and the first released since Activision and Marvel's decision to make Beenox their lead developer on future Spider-Man games. Marvel's Spider-Man, or simply Spider-Man, is an American animated television series based on the Marvel Comics character of the same name. 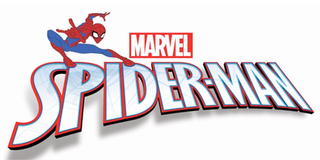 It is a replacement for the previous series, Ultimate Spider-Man, and premiered on August 19, 2017 on Disney XD. Spider-Man is a fictional character, a superhero developed and created by Insomniac Games originally for the Spider-Man video game released in 2018. Based on the original character created by Stan Lee and Steve Ditko, the character was later established in Marvel Comics continuity as an alternate version of Spider-Man. The video game character was created with contributions from various writers such as Jon Parquette, Benjamin Arfmann, Kelsey Beachum, Christos Gage and Dan Slott and is voiced by Yuri Lowenthal. His primary suit is called the advanced suit, which is designed differently than his comic book counterpart and serves as a replacement for his original suit, which was damaged during a confrontation with one of his foes. 1 2 3 4 5 6 7 Dornbushc 2018. 1 2 3 4 5 6 Tuckerb 2018. 1 2 3 4 5 6 7 Intihar 2017. 1 2 3 4 5 6 Parkin 2018. 1 2 3 4 Williamsb 2018. 1 2 3 4 TuckerTR 2018. 1 2 3 4 5 6 7 8 Tucker 2018. 1 2 3 4 5 6 7 8 9 10 11 Marnell 2018. 1 2 3 4 Stark 2018. 1 2 3 4 Whitbrook 2018. 1 2 3 Barnett 2018. 1 2 3 Mathew 2017. 1 2 3 4 5 6 7 8 9 10 11 12 13 Watts 2018. 1 2 Vader, Leo (April 4, 2018). "Exclusive Interview With The Man Playing Spider-Man". Game Informer . Archived from the original on April 5, 2018. Retrieved April 4, 2018. 1 2 3 Wales 2018. 1 2 3 4 5 Carterb 2018. 1 2 3 4 5 6 7 8 9 10 Harmon 2018. 1 2 3 4 5 6 7 Reiner 2018. 1 2 3 4 5 6 Faulkner 2018. 1 2 3 4 5 6 Tran 2018. 1 2 3 4 5 6 Hurley 2018. 1 2 3 4 5 6 7 Ahern 2018. ↑ Fitzpatrick, Dockterman & Austin 2018. Adams, Robert N. (December 28, 2018). "Japanese Developers Vote Spider-Man PS4 Game of the Year". Game Revolution . Archived from the original on January 29, 2018. Retrieved January 29, 2018. Arif, Shabana (September 10, 2018). "Marvel's Spider-Man: Insomniac Offers To Remove The World's 'Saddest Easter Egg'". IGN . Archived from the original on January 24, 2019. Retrieved January 24, 2019. Bankhurst, Adam (July 30, 2018). "Marvel'S Spider-Man For PS4 Is Officially Complete". IGN . Archived from the original on January 16, 2019. Retrieved January 16, 2019. Barnett, Brian (September 10, 2018). "How Insomniac'S Spider-Man Came To Be - IGN Unfiltered". IGN . Archived from the original on January 17, 2019. Retrieved January 17, 2019. Beer, Jeff (September 6, 2018). "Sony PlayStation uses a blockbuster ad strategy for new Spider-Man game". Fast Company . Archived from the original on October 20, 2018. Retrieved October 20, 2018. Blumenthal, Eli (September 20, 2018). "Marvel's 'Spider-Man' for PlayStation 4 swings to a record-breaking opening". USA Today . Archived from the original on October 5, 2018. Retrieved September 20, 2018. Carter, Justin (November 15, 2018). "A guide to Spider-Man PS4's many costumes, and their comic roots". Polygon . Archived from the original on September 16, 2018. Retrieved November 23, 2018. Carter, Chris (January 7, 2019). "Spider-Man has some pretty great names for its difficulty settings". Destructoid . Archived from the original on January 8, 2019. Retrieved January 8, 2019. Crecente, Brian (October 24, 2018). "'Marvel's Spider-Man' Shatters PlayStation, Spider-Man Records". Variety . Archived from the original on February 2, 2019. Retrieved February 2, 2019. Croshaw, Ben "Yahtzee" (January 2, 2019). "2018's Best Worst and Blandest". The Escapist . Archived from the original on January 3, 2019. Retrieved January 3, 2019. Dealessandri, Marie (October 4, 2018). "Monthly charts: FIFA 19 takes the crown but Spider-Man is the real king". MCV . Archived from the original on January 26, 2019. Retrieved January 26, 2019. Dealessandri, Marie (September 25, 2018). "Spider-Man still on top of the world". MCV . Archived from the original on January 26, 2019. Retrieved January 26, 2019. Dealessandri, Marie (January 3, 2019). "UK physical market down in 2018, Switch sales surge". MCV . Archived from the original on January 26, 2019. Retrieved January 26, 2019. Delahunty-Light, Zoe. "31 Spider-Man PS4 easter eggs and tiny details you might have missed". GamesRadar+ . Archived from the original on January 27, 2019. Retrieved September 6, 2018. Dornbush, Jonathon (April 4, 2018). "Marvel's Spider-Man Gameplay, Story Details Revealed". IGN . Archived from the original on April 8, 2018. Retrieved April 7, 2018. Dornbush, Jonathon (September 7, 2018). "Why Marvel's Spider-Man's Photo Mode Is So Great". IGN . Archived from the original on January 24, 2019. Retrieved January 24, 2019. Dornbush, Jonathon (September 4, 2018). "Spider-Man PS4 Review". IGN . Archived from the original on September 22, 2018. Retrieved September 4, 2018. "EGM's Best of 2018 Part Five: #5 ~ #1". Electronic Gaming Monthly . January 1, 2019. Archived from the original on January 30, 2019. Retrieved January 30, 2019. "The 30 best games of 2018". Eurogamer . December 30, 2018. Archived from the original on February 1, 2019. Retrieved February 1, 2019. Faulkner, Jason (September 4, 2018). "Spider-Man PS4 Review – My Spidey-Senses Are Tingling". Game Revolution . CraveOnline. Archived from the original on September 22, 2018. Retrieved September 4, 2018. Fitzpatrick, Alex; Dockterman, Eliana; Austin, Patrick Lucas (November 16, 2018). "The 10 Best Video Games of 2018". Time . Archived from the original on January 30, 2019. Retrieved January 30, 2019. Flores, Terry (December 3, 2018). "'Incredibles 2,' 'Ralph Breaks the Internet' Top Annie Awards Nominations". Variety . Archived from the original on December 18, 2018. Retrieved December 7, 2018. Fogel, Stefanie (September 6, 2018). "Insomniac Talks About The Tech Behind 'Spider-Man's' Satisfying Swing". Variety . Archived from the original on January 18, 2019. Retrieved January 18, 2019. Fogel, Stefanie (March 14, 2019). "'God of War,' 'Red Dead 2' Lead BAFTA Game Awards Nominations". Variety . Retrieved March 14, 2019. Fogel, Stefanie (March 21, 2019). "'God of War' Wins Six G.A.N.G. Awards, Including Audio of the Year". Variety . Retrieved March 22, 2019. Gach, Ethan (October 23, 2018). "Spider-Man's Heist DLC Is Fun But Familiar". Kotaku . Archived from the original on October 24, 2018. Retrieved October 24, 2018. "2018 Gamers' Choice Awards". Gamers' Choice Awards . December 9, 2018. Archived from the original on January 3, 2019. Retrieved January 3, 2018. Good, Owen S. (January 4, 2019). "Red Dead Redemption 2 tops list of Game Developers Choice nominees". Polygon . Archived from the original on January 5, 2019. Retrieved January 6, 2019. Grant, Christopher (December 6, 2018). "The Game Awards 2018: Here are all the winners". Polygon . Archived from the original on December 7, 2018. Retrieved December 7, 2018. Green, Jake (December 18, 2018). "Spider Man PS4 Miles Morales - Can You Play as Miles Morales?". USGamer . Archived from the original on January 15, 2019. Retrieved January 15, 2019. Green, Jake (December 18, 2018). "Spider Man PS4 Combat Tips, Fighting Guide". USGamer . Archived from the original on January 15, 2019. Retrieved January 15, 2019. Green, Jake (June 15, 2018). "Spider-Man PS4 Release Date, E3 2018 Gameplay, Hands-On Preview Impressions, Sinister Six Villains - Everything We Know". USgamer . Archived from the original on June 18, 2018. Retrieved June 20, 2018. "2018 Music in Visual Media Nominations". Hollywood Music in Media Awards . Archived from the original on October 17, 2018. Retrieved November 14, 2018. "2018 HMMA WINNERS". Hollywood Music in Media Awards . November 14, 2018. Archived from the original on November 15, 2018. Retrieved November 15, 2018. Hoggins, Tom (October 27, 2017). "Public voting and the nominations for the 2017 Golden Joystick Awards are now up". The Daily Telegraph . Archived from the original on November 18, 2017. Retrieved January 26, 2019. Hoggins, Tom (September 24, 2018). "Golden Joysticks 2018 nominees announced, voting open now". The Daily Telegraph . Archived from the original on October 11, 2018. Retrieved October 6, 2018. Hoggins, Tom (December 18, 2018). "Games of 2018: Marvel's Spider-Man was a super-powered swinging treat". The Daily Telegraph . Archived from the original on January 30, 2019. Retrieved January 30, 2019. Kain, Erik (September 6, 2018). "'Spider-Man' (2018) PS4 Review: The Good, The Bad And The Spidey". Forbes . Archived from the original on January 15, 2019. Retrieved January 15, 2019. Keyes, Rob (January 3, 2019). 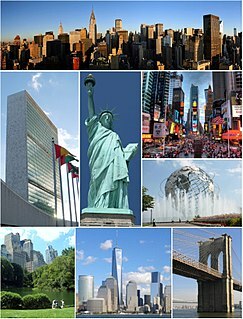 "2018 New York Game Awards Nominees Revealed". Screen Rant . Archived from the original on January 5, 2019. Retrieved January 5, 2019. Khan, Zarmena (March 17, 2019). "God of War Takes Home 'Game of the Year' at SXSW 2019 Gaming Awards". PlayStation LifeStyle. CraveOnline . Retrieved March 17, 2019. Kuchera, Ben (September 12, 2018). "Spider-Man on the PS4 is a great example of AAA development working at its best". Polygon . Archived from the original on January 16, 2019. Retrieved January 16, 2019. Kuchera, Ben (December 11, 2018). "GOTY 2018: #9 Marvel's Spider-Man". Polygon . Archived from the original on January 29, 2019. Retrieved January 29, 2019. Loveridge, Sam (September 15, 2016). "Golden Joystick Awards 2016 voting now open to the public". Digital Spy . Archived from the original on February 28, 2017. Retrieved October 6, 2018. Macy, Seth G. (September 6, 2018). "Complete Guide To Spider-Man's Preorder Bonuses". IGN . Archived from the original on October 17, 2018. Retrieved October 17, 2018. Makedonski, Brett (August 5, 2018). "Spider-Man has some pretty great names for its difficulty settings". Destructoid . Archived from the original on January 8, 2019. Retrieved January 8, 2019. Makuch, Eddie (December 8, 2017). "The Game Awards 2017 Winners Headlined By Zelda: Breath Of The Wild's Game Of The Year". GameSpot . Archived from the original on December 9, 2017. Retrieved October 6, 2018. Makuch, Eddie (January 10, 2019). "God Of War, Spider-Man Lead DICE Awards; Here's All The Nominees". GameSpot . Archived from the original on January 11, 2019. Retrieved January 11, 2019. Mithaiwala, Mansoor (September 6, 2018). "Marvel's Spider-Man PS4 Ending Explained". Screen Rant . Valnet Inc. Archived from the original on September 7, 2018. Retrieved September 7, 2018. Muncy, Julie (December 30, 2018). "The 10 Best Games Of 2018—And Yes, They'Re Ranked". Wired . Archived from the original on January 29, 2019. Retrieved January 29, 2019. "Nominee List for 2018". National Academy of Video Game Trade Reviewers . 11 February 2019. Retrieved 12 February 2019. "Winner list for 2018: God of War breaks record". National Academy of Video Game Trade Reviewers . 13 March 2019. Retrieved 13 March 2019. Newton, Casey (December 19, 2018). "Why Spider-Man is my game of the year". The Verge . Archived from the original on January 29, 2019. Retrieved January 29, 2019. O'Connor, James (June 14, 2016). "Insomniac Games is making a Spider-Man game". VG247 . Archived from the original on November 16, 2018. Retrieved January 17, 2019. Parkin, Jeffrey (September 12, 2018). "Spider-Man PS4 fighting guide". Polygon . Archived from the original on January 5, 2019. Retrieved January 5, 2019. Parkin, Jeffrey (September 12, 2018). "How to take a selfie in Spider-Man PS4". Polygon . Archived from the original on January 24, 2019. Retrieved January 24, 2019. Plante, Chris (June 12, 2018). "How Spider-Man PS4's New York City compares to the real thing". Polygon . Archived from the original on June 15, 2018. Retrieved January 1, 2019. Polo, Susana (June 15, 2018). "Video game Spider-Man will enter Marvel Comics canon this fall". Polygon . Archived from the original on January 25, 2019. Retrieved June 19, 2018. Polo, Susana (October 25, 2018). "Spider-Man PS4's new DLC makes some changes to the original Black Cat". Polygon . Archived from the original on November 6, 2018. Retrieved November 24, 2018. Polo, Susana (April 17, 2018). "Insomniac's Spider-Man will swing into action early in prequel novel". Polygon . Archived from the original on January 25, 2019. Retrieved January 25, 2019. Ramée, Jordan (October 19, 2018). "Spider-Man PS4 Gets New Game Plus And Ultimate Difficulty; Here Are The Full Patch Notes". Gamespot . Archived from the original on January 8, 2019. Retrieved January 8, 2019. Ramée, Jordan (October 23, 2018). "PS4's Spider-Man The Heist DLC: Just How Long Is It?". GameSpot . Archived from the original on October 24, 2018. Retrieved October 24, 2018. Ramée, Jordan (August 15, 2018). "Gamescom 2018: Award Nominees Include Marvel's Spider-Man, Assassin's Creed Odyssey, And More". GameSpot . Archived from the original on August 17, 2018. Retrieved August 19, 2018. Reed, Chris (September 11, 2018). 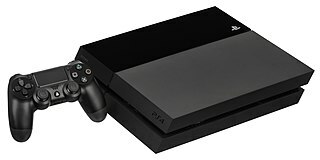 "Marvel's Spider-Man PS4 Special Editions And Release Date Guide (US Only)". GameSpot . Archived from the original on October 17, 2018. Retrieved October 17, 2018. Reiner, Andrew (September 4, 2018). "Spider-Man Review - Spinning An Amazing Web". Game Informer . GameStop. Archived from the original on September 22, 2018. Retrieved September 4, 2018. Santangelo, Nick (December 13, 2018). "Marvel's Spider-Man'S Final DLC, Silver Linings, Available Next Week". IGN . Archived from the original on December 13, 2018. Retrieved December 13, 2018. Santangelo, Nick (August 30, 2018). "Spider-Man Fans Are Arguing About Puddle Sizes". IGN . Archived from the original on January 24, 2019. Retrieved January 24, 2019. Schreier, Jason (December 20, 2018). "Surprise: The 'Sam Raimi' Suit Is Now In Spider-Man PS4". Kotaku . Archived from the original on December 21, 2018. Retrieved January 1, 2019. Shanley, Patrick (September 4, 2018). "'Marvel's Spider-Man': Game Review". The Hollywood Reporter . Archived from the original on September 26, 2018. Retrieved September 26, 2018. Stark, Chelsea (September 7, 2018). "Spider-Man's post-credits scenes set us up for a sequel perfectly". Polygon . Archived from the original on October 5, 2018. Retrieved October 5, 2018. Stevens, Colin (December 17, 2018). "Spider-Man PS4 Gets His Own Marvel Comic". IGN . Archived from the original on January 19, 2019. Retrieved January 19, 2019. Tapley, Kristopher (January 15, 2019). "Avengers,' 'Lost in Space,' 'Ready Player One' Lead Visual Effects Society Nominations". Variety . Retrieved January 17, 2019. Tapsell, Chris (September 19, 2018). "Spider-Man Challenge Tokens explained - how to Complete Taskmaster Challenges and earn Ultimate Level score". Eurogamer . Archived from the original on January 2, 2019. Retrieved January 2, 2019. Tapsell, Chris (September 19, 2018). "Spider-Man Backpack Tokens explained - how to find Backpacks". Eurogamer . Archived from the original on January 2, 2019. Retrieved January 2, 2019. Tapsell, Chris (September 19, 2018). "Spider-Man Research Tokens explained - how to complete Research Stations, Circuit Projects and catch Pigeons". Eurogamer . Archived from the original on January 2, 2019. Retrieved January 2, 2019. Tapsell, Chris (September 19, 2018). "Spider-Man Landmark Tokens and Secret Photo locations - how to get Landmark Tokens explained". Eurogamer . Archived from the original on January 2, 2019. Retrieved January 2, 2019. Tapsell, Chris (September 19, 2018). "Spider-Man Circuit Puzzle and Pattern Puzzle solutions - Octavius Lab puzzle solutions, A Bit of a Fixer Upper trophy, and how to get the correct Target Voltage". Eurogamer . Archived from the original on January 15, 2019. Retrieved January 15, 2019. Tran, Edmond (September 4, 2018). "Spider-Man PS4 Review: Amazing Fantasy". GameSpot . CBS Interactive. Archived from the original on September 22, 2018. Retrieved September 4, 2018. Trent, Logan (February 11, 2019). "Here Are Your 2019 SXSW Gaming Awards Finalists!". South by Southwest . Retrieved February 15, 2019. Vasquez, Suriel (November 17, 2018). "CBS To Air Fan-Voted 'Gamers' Choice Awards' Next Month". Game Informer . Archived from the original on November 18, 2018. Retrieved January 26, 2019. Wales, Matt (October 16, 2018). "Insomniac shows off Spidey's new suits from next week's The City That Never Sleeps DLC". Eurogamer . Archived from the original on November 23, 2018. Retrieved November 23, 2018. Watts, Steve (December 21, 2018). "Marvel's Spider-Man: How Insomniac Spun Its Web". GameSpot . Archived from the original on January 17, 2019. Retrieved January 17, 2019. Watts, Steve (July 2, 2018). "Resident Evil 2 Wins Top Honor In E3 Game Critics Awards". GameSpot . Archived from the original on August 3, 2018. Retrieved October 6, 2018. Wen, Alan (August 2, 2018). "Marvel's Spider-Man hands-on – Mary Jane stealth sections, Peter Parker puzzles, and flipping through New York". VG247 . Archived from the original on January 15, 2019. Retrieved January 15, 2019. "WGA Awards: Full List of Nominations". The Hollywood Reporter . December 6, 2018. Archived from the original on January 25, 2019. Retrieved January 25, 2019. "2019 Writers Guild Awards Screenplay and Videogame Writing Nominations Announced". Writers Guild of America West . January 7, 2019. Archived from the original on January 11, 2019. Retrieved January 11, 2019. Williams, Mike (September 27, 2018). "Why Spider-Man PS4 Fans Should Pick Up Spider-Geddon #0". USGamer . Archived from the original on October 20, 2018. Retrieved October 20, 2018. Williams, Mike (September 27, 2018). "Marvel's Spider Man Review". USGamer . Archived from the original on January 6, 2019. Retrieved January 6, 2019. Williams, Mike (November 20, 2018). "Spider-Man: Turf War DLC Review". USGamer . Archived from the original on November 23, 2018. Retrieved November 23, 2018. Yin-Poole, Wesley (September 8, 2018). "Spider-Man PS4 continues the trend of useful accessibility options in video games". Eurogamer . Archived from the original on January 8, 2019. Retrieved January 8, 2019. Yin-Poole, Wesley (October 20, 2018). "Insomniac has the last laugh on Spider-Man PS4 "puddlegate"". Eurogamer . Archived from the original on January 24, 2019. Retrieved January 24, 2019. 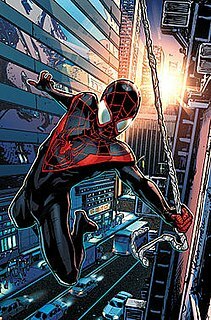 Wikimedia Commons has media related to Marvel's Spider-Man .